An official divorce will always end with a couple no longer being together, but legally there are different types of divorce that they may be granted. There is the “no fault” divorce which is allowed in every state in the country and a “fault” divorce which is only allowed in some. The following are some frequently asked questions that people have on the subject including the definitions of each to hopefully shed some light on what some consider a confusing topic. A “no fault” divorce is allowed in every state in the country and it is one where the spouse who wishes to get one does not have to prove any wrongdoing by the other spouse in order to receive one. Arizona is strictly a no fault divorce state which means a spouse cannot allege that it was the other spouse’s wrongdoings that led to the cause of them wanting a divorce. Instead, one of the reasons given above can be used as the base of the grounds of the divorce or if you have been separated from your spouse for at least 18 months that can be the cause of your separation as well. 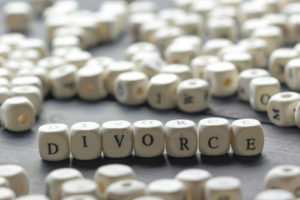 One important thing to note is that this does not mean that fault cannot be a factor when awarding alimony or dividing property, but as far as the official reason for divorce all states including Arizona are a no fault divorce state. Only certain states allow a fault divorce and they can only be granted when certain required grounds are met and one spouse asks that their divorce be granted on the grounds of that fault. Why Choose a Fault Divorce? While it can be easier to file for a no fault divorce there are many instances where the spouse does not want to wait the required amount of time before they are legally allowed to get divorced especially if any of the fault grounds listed above are occurring. In addition, some states will award a larger alimony amount if they are able to prove the other spouse was at fault for the divorce. In the case that both spouses are at fault for the divorce the court will grant one to the spouse who is legally considered to be the least at fault under the “comparative rectitude” doctrine. Is a Spouse Able to Prevent a Court from Granting a Divorce? No fault divorces cannot be stopped which means they cannot be prevented as a rule in every state in the country. As far as no fault divorces go a spouse may be able to prevent it if they can prove that they are not at fault. Going through a divorce can be the most difficult time in your life which is why you need a knowledgeable attorney like Scottsdale Divorce Attorney Karen Schoenau who is committed to resolving your family issues as quickly and in the best way possible. Call us or use the contact from on this page to schedule your initial case evaluation today. From her offices based on Scottsdale, Attorney Karen Schoenau represents clients throughout the metropolitan Scottsdale area, including in Scottsdale, Mesa, Surprise, Maricopa County, Pinal County, Gila County and throughout the state of Arizona.